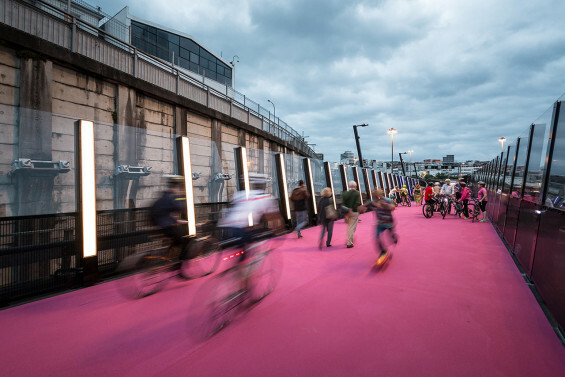 The intent of the project was to create a hybrid space which support its intended function as a cycle path but also enables occupation and explorative pedestrian access. The path enables a journey and episodic experience which engages with both the infrastructural landscape of the motorway and contextual views of the wider landscape. 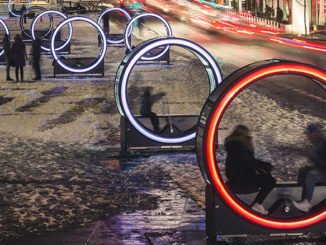 At the urban scale the pathway is conceived as a single unifying and connecting form by day and a dynamic living sculpture by night. 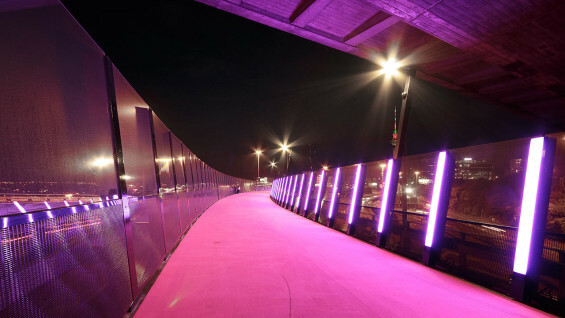 The graphic and bold treatment of the surface and lighting enables it to be read as singular intervention which sits comfortably within the mega scale of the surrounding motorway infrastructure. 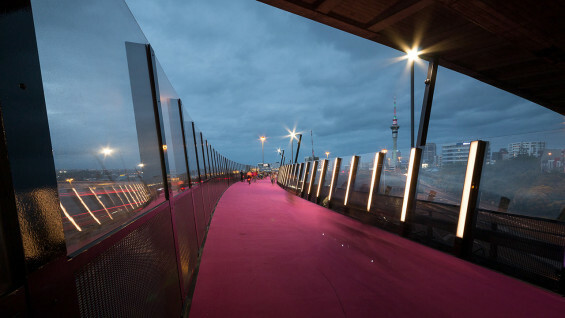 The cambered deck traces the sites former topography and is treated as a continuous and connecting urban surface extending 700m in length. Folded steel benches emerge from this ground plane to provide moments of occupation. 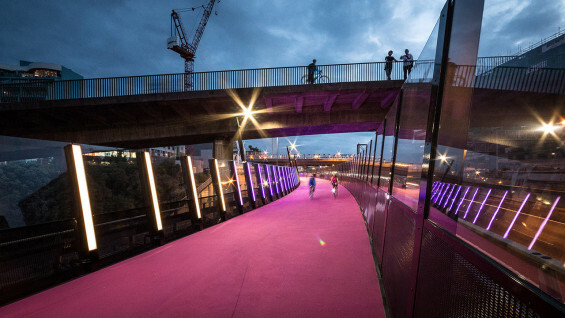 The hot pink colour scheme provides an abstract reference to the sites natural history, a nod to the adjacent night life district of Karanghape Road along with tactical whimsy. 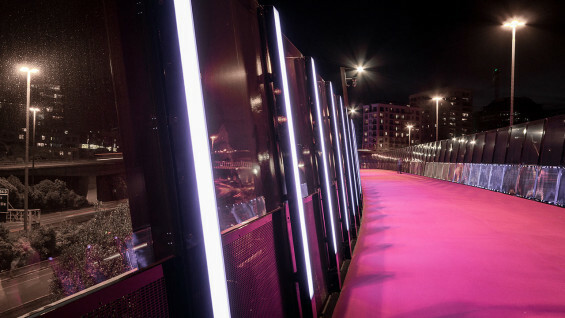 The repeating architectural structure of the safety screens provides the opportunity for the rhythmic distribution of 300 vertical LED lights which pulse and breath to provide a constantly changing lighting display. 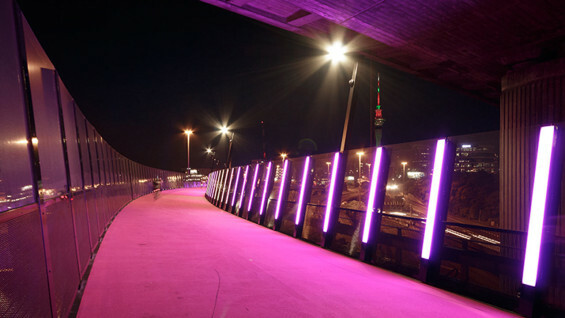 The repetition of the lights reinforces the sense of movement for cyclists and pedestrians. 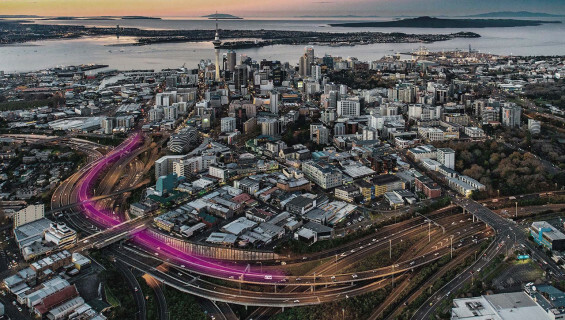 The flexible technical infrastructure enables the opportunity for a curated, constantly evolving lighting program. 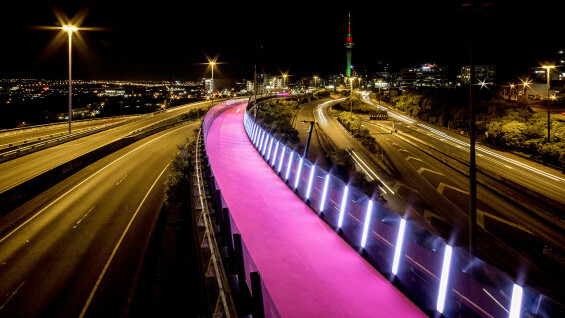 Te Ara I Whiti is a maori name which translates to ‘path of light’. Light path is an experience and a place. It appears to be a beautiful conception but ,also, a high maintenance project. Keeping the pathway clean will require constant litter removal and repainting. Would like to see pictures of the “Folded steel benches (that) emerge from this ground plane”.